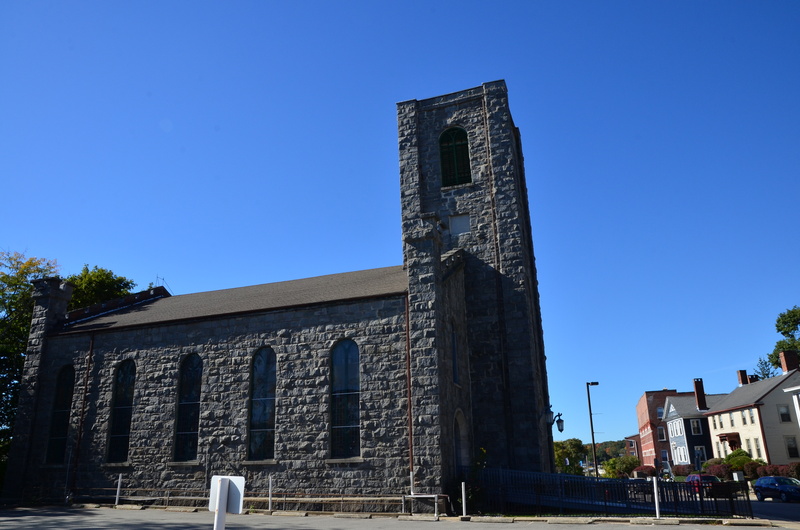 Norwich’s Second Congregational Church, founded in 1760, played a key role in providing educational opportunities for local African Americans. The present stone building, built in 1844, is a replacement of an earlier wood frame church. A church member, Charles Harrington, established the Sabbath School for African Americans in 1815 to provide instruction in subjects such as reading and religion. By 1817, enrollment had grown to forty-one adults and children. Many of Norwich’s African-Americans joined the congregation, including members of the Williams and Harris families, among the first residents of Jail Hill and leaders in the local anti-slavery movement. In July 1834, a mob disrupted a meeting of the Norwich Anti-Slavery Society at the church; the incident was one of a number of similar attacks throughout Connecticut in the 1830s.